Nuala Woulfe Beauty: Organic skin recovery from Eminence. 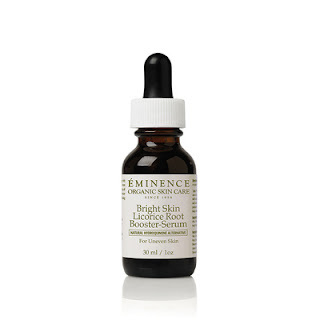 Organic skin recovery from Eminence. 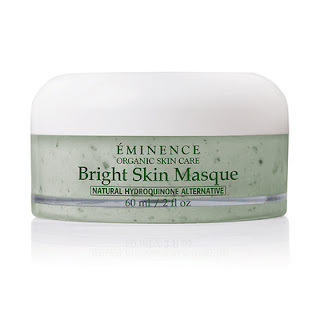 Fight off the appearance of uneven pigmentation with our Bright Skin Masque. Natural Hydroquinone Alternative and Gigawhite™ help brighten skin’s appearance and reduce the appearance of dark spots and the signs of aging. Cruelty-free and formulated without parabens, sodium lauryl sulfates, synthetic dyes, petrochemicals, animal by-products, phthalates, GMOs and triclosan. •Natural Hydroquinone Alternative: a natural brightening agent made with African potato and tara tree for a smooth, radiant looking complexion. Apply 3-4 drops over entire face and neck, or apply 1–2 drops to affected areas 1-3 times a day. 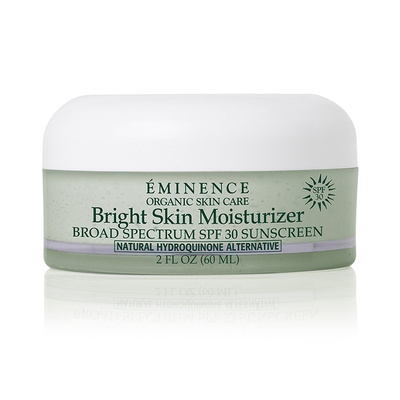 Otherwise, combine 3-4 drops with pre-emulsified Éminence masque or moisturizer and apply evenly to skin.